​Take a look if you're interested! 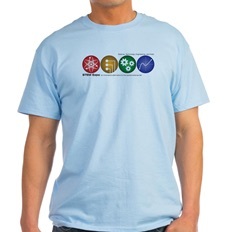 Remember each sale of an item helps keep STEM Expo going! Nearly fifty Auburn area students competed at last weekend’s STEM Expo held in Rocklin. Eight of those students ended up winning top awards in four of the seven judged categories – some that are unique to STEM (Science Technology Engineering and Mathamatics) Expo’s innovative science fair. New Science Fiction Sponsor for STEM Expo 5 ! STEM Expo 5 is excited to announce a new sponsor and subsequent prize for the First Place winning Science Fiction writer (6-8th Grade level). The California Writing Project (CWP) is a statewide professional learning network that serves teachers of writing at all grade levels, pre-K through university, and in all subjects. Because writing matters for success in the school and university, in the community and workplace, the CWP has a central mission - to improve student writing and learning by improving the teaching of writing. 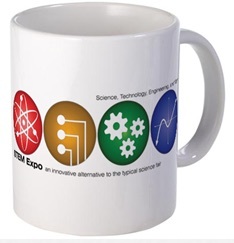 Read more about New Science Fiction Sponsor for STEM Expo 5 ! STEM Expo exhibitors star in new TV show! The program premieres at 7 p.m. Wednesday on a channel that reaches over 75 million U.S. households. Discovery Communications is giving “All-American Makers” a six-show run and could re-up for more episodes if the “Shark Tank”-meets-“How It’s Made” formula catches on with audiences. Read more about STEM Expo exhibitors star in new TV show! On Jan. 20, 2014, Forbes magazine named Divya Nag the youngest person on its list of “30 Under 30” brightest stars in science and health care. Catherine Colella , one of the winner's at the 2014 Placer County Stem Expo used her winning JetBlue Ticket to meet legendary NASA flight director Gene Kranz and tour Purdue University Engineering facilities. Close to 200 students registered to compete in the 4th annual Placer County STEM Expo held at William Jessup. The event is known for ushering in alternative notions to typical student science competitions and elementary through high school student-generated work in science, technology, engineering, and math, the core subjects of STEM.